Before and long after the Voortrekkers and their descendants had turned to rename the river Ncome “Bloedrivier”, at least two oral versions about the battle on and around 16 December 1838 circulated among the earlier inhabitants of that region on the one hand and the trekker- and settler-communities on the other. Generations of history-writers and -teachers have with only a few exceptions generally preferred to adopt and promote the trekker-version uncritically with the result of it presently being treated in text-books and research as the only valid account of the iMpi yaseNcome . Two simple and yet not so simple questions deserve a conclusive answer: What took place [or did not take place] at Ncome on and around 16 December 1838? When and on what reason and for what purpose was the river Ncome renamed „Bloedrivier“? This paper sets out in the first place to present a brief account as to when the date and the venue under review attained which designations on the side of the descendants of the Voortrekkers and on what reason or in which intention. A selection of oral versions of the narrative about iMpi yaseNcome circulating among the inhabitants of the areas surrounding Ncome today which could help to identify such divergences and contradictions to the standardised version as might and do prevail in text-books and research today, has been compiled by the author. In this paper this shall, however, merely be referred to without engaging in the comparative analysis that would have to be undertaken, if an attempt were to be made to revisit and probably revise the writing of history about the iMpi yaseNcome in text-books and research today – a project that could induce ongoing processes of mutual understanding and inspire not only the descendants of the Ncome-generation to persist in striving for reconciled togetherness. 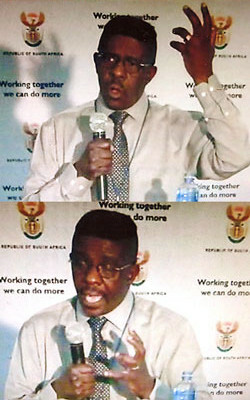 In conclusion, perspectives for implementation are outlined and a proposal is made concerning an iHlambo likazwelonke (a national Cleansing- and Reconciliation-Ceremony) at Ncome-Bloedrivier on 16 December 2014 [20 years democracy] could, for example, be the most suitable opportunity for initiating such transformation country-wide. Keywords:Kommandos; amabutho [regiments]; iMpi yaseNcome; protagonists; dates and venues; Weltanschauung; historiography; sources; documents; personal memories; public commemoration; retrospective construction; narratives; myths; ideological instrumentalisation; unintentional confluence and congruence of interests; interdependence and interconnectedness; burden, perspective and legacy; Land Issue; Dingaansdag; Geloftedag; Day of Reconciliation; uMkhonto weSizwe; constructively critical scholarship; responsible citizenry; ‘die Groot Trek’; Apartheid; Voortrekker-monument(s) (Völkerschlacht-Denkmal/Leipzig); iHlambo likazwelonke. Ben Khumalo-Seegelken, Theologian, Social-Scientist and Human-Rights’ Activist, lived at iMbali and KwaPata near Pietermaritzburg (South Africa) and worked – in the employ of the Edendale Lay Ecumenical Centre [1972-1975] – with the youth in and around Edendale, reaching out to Pietermaritzburg, Durban and surroundings with initiatives and ventures to defy apartheid and to equip young people with information, knowledge and skills to participate effectively in “the Struggle”, escaped detention and attained political asylum in West Germany , lives and works in a variety of civil-rights’ networks both in South Africa and in Germany. – Reading and writing history and histories has to do with persons and communities in relation to incidents, dates and venues over periods of time. – Readers and writers of history are very often not identical with the protagonists of the same history even though they might be descendants of these. – Readers and writers of history can take cognisance of and relate to instances, occurrences and undertakings preceding their own lifetime primarily by acquring access to sources and documents – oral, archeological, graphical, etc. [including most probably memory-notes by Zeitzeugen (Contemporaries; „veterans“) as well]. – Instances, occurrences and undertakings preceding the lifetime of contemporary readers and writers of history are subject to interpretation. In as much as a calendar-date can – over a certain period – come to be known, remembered and commemorated under differing names, a venue of a particular instance, occurrence or undertaking can adopt or discard the names given to it consecutively or simultaneously. The 16th of December and the river Ncome are two examples in this regard. Readers and writers of history will always know of various models and versions of interpretation and will often tend to favour or disfavour the one or the other depending on circumstances [izimo; omstandighede] including socio-political, economic and ideological factors. [„Weltanschaaung“ – anadmittedly subjective underlying perspective on issues and developments]. Readers and writers of history do participate in varying scholarly and public undertakings and are capable of facilitating contemporary processes of addressing the past in a given context even responsibly and sustainably. Two simple and yet not so simple questions deserve attention to start with: What took place [or did not take place] at Ncome on and around 16 December 1838? When and on what reason and for what purpose was the river Ncome renamed „Bloedrivier“? Naturally a third question – certainly the most important one – has to be posed: Where do we go from here? A number of years after the military encounter at Ncome on 16 December 1838, the survivors on both sides – amabutho kaZulu [the regiments of the Zulu-Kingdom] and the Voortrekker-kommandos – and their families used to remember that day and commemorated it in their homes in different ways. In 1864 – well over two and a half decades after iMpi yaseNcome, the survivors fromthe ranks of the Voortrekker-kommandos, their families and their descendants decided to widen the scope and saw to it that the commemorating of 16 December 1838 henceforth be an issue of public interest in their church and – shortly after that  – also in one of the territories that they had up to then occupied and renamed the Zuid-Afrikaansche Republiek [later renamed the Transvaal]: The Synod, the governing body of their Church, meeting at Pietermaritzburg in what had then been declared the British Colony of Natal, resolved on October 3, 1864 that „Dingaansdag“, as the 16th of December then used to be referred to, be observed in the life and liturgy of the congregations within its area of influence; an annual commemoration-service, that would be co-convened by their Church at Ncome, was agreed upon. To a public holiday „Dingaansdag“ was declared in 1865 in the territory the Voortrekkers had renamed “Transvaal”, that was over 27 years after the iMpi yaseNcome. When in 1910 the territories that both the British and the Boers had up to then declared their own colonies or ‘republics’ were put together to form what they termed the Union of South Africa, they installed „Dingaansdag“ as public holiday in the entire territory known to us today as South Africa. I take a big leap from 1910 up to 1952; am aware that, in doing so, I leave a series of aspects of our theme untouched. These are, for example: ‘die Groot Trek’ in the context of developments in Africa and elsewhere before and after iMpi yaseNcome; the World Wars; Apartheid; Voortrekker-monuments in their relationship to the Völkerschlacht-Denkmal (War-Memorial Monument) in Leipzig in its significance to the Nazi-dictatorship in Germany [1933-1945] and in their significance to the apartheid-regime [1948-1994]. When in 1952 – three years after the inauguration of the Voortrekker-monument in Pretoria in 1949 – „Dingaansdag“, the 16th of December, came to be renamed Geloftedag, Day of the Covenant, almost one hundred and three years had elapsed since the iMpi yaseNcome. None of the direct protagonists in that war were still living or were in any way actively involved in any of the deliberations or decisions taken in 1952. The descendants on both sides – the descendants of amabutho kaZulu and of the Voortrekker-kommandos – and even more the general public had grown into being the primary bearers of the memories once held and passed on by the generations succeeding the protagonists of iMpi yaseNcome before them. The version and versions of the narrative that were then in circulation about iMpi yaseNcome were at best of the fourth generation. Up to 1952, December 16 had moved from an informal day of personal and family-commemoration in homes, over to a day of a liturgically composed and synodically instituted and sanctioned public ceremony with religious overtones at the venue of the incident under review, up to a legally enforced public holiday throughout the whole territory of present day South Africa. For the rest of the colonial and post-colonial era, through to the rise and fall of the apartheid-regime, 16 December 1838 preoccupied and moved more than only the descendants of the direct protagonists in iMpi yaseNcome considerably. This date has, indeed, become the foundation and the corner-stone of the entity and the constellation of interests and peoples known today as South Africa. This constellation of interests and peoples from all population-groups – not only the descendants of the Voortrekkers – can today rightly claim to have been born as a political entity, South Africans, at Ncome on 16 December, 1838. The struggle for liberation against colonialism and apartheid had, of course, always related to this date as well: That uMkhonto weSizwe, the armed wing of the liberation-movement co-ordinated by the African National Congress (ANC),was launched on December 16 in 1961, could certainly not have been co-incidental at all. – a particular programme of action on its own. The same holds for the name „Bloedrivier“ [„Blood River“ „eBhodriva“. The date, 16 December in and after 1838, 1910, 1938, 1948, 1971, … – „Dingaansdag“, „Geloftedag“, „Day of Reconciliation“ on the one hand and the venue, Ncome and „Bloedrivier“, on the other hand are in themselves a lucid illustration as to how historiography – the reading and writing of history and histories – more than seldom goes over to adopting changed perceptions and interpretations of occurrences and events and even becoming prone to effecting ideological instrumentalisation and presentation of incidents, issues and events that the protagonists just simply would have experienced totally differently. Once more: What took place [or did not take place] at Ncome on and around 16 December 1838? When and on what reason and for what purpose was the river Ncome renamed „Bloedrivier“ ? Where do we go from here? This conference might and should give room for these and other questions to be reflected upon and enable the participants to outline possible avenues of constructively critical scholarship and responsible citizenry. I have two statements to make in this regard. The first one: It is probable that iMpi yaseNcome saw the blood of the protagonists from both sides flow and stain the soil of this part of the African continent indelibly. In view of the blood held to have been shed on both sides at and around Ncome on and around 16 December 1838, Ncome today bears the name „Bloedrivier“, this however,in a sense that is as inclusive and in no way as ideologically-manipulative as might certainly have been intended by those who coined and gave that name in the years and decades following 16 December 1838. „Ncome“ and „Bloedrivier“ are two sides of the same coin; they have become Siamese twins. The second one: Whereas iMpi yaseNcome on the one handis held to have resulted in the victory of the one side of its protagonists over the other, on the other hand doubts prevail up to this day concerning the validity of such a claim. The circumstances, the scale and the dimensions generally attributed to the military encounter under review are simply too unique and too extraordinary to be true. IMpi yaseNcome will most probably have been won and lost by both alike – amabutho kaZulu and the Voortrekker-kommandos: On military terms both lost; on political terms both won the war – the one more, the other less. Both sides of the encounter at Ncome – amabutho kaZulu and the Voortrekker-kommandos – emerged as a new constellation of polities – a new political reality – in Southern Africa that, notwithstanding the open questions and the ongoing animosities between them, even British imperialism those days could not have afforded to ever underestimate – uZulu and the Boers/amaBhunu [as the Voorktrekkers and their descendants more and more turned to be known]. Retrospectively one may resume presumably rightly so: Seemingly endless and almost irreconcilable animosity has characterised uZulu and the Boers more than any other constellation in colonial and post-colonial Southern Africa since 16 December 1838. UZulu and the Boers have over almost two centuries – obviously unintentionally – experienced and endured confluence and congruence of interests in an inextricable way and have paradoxically witnessed moments of interdependence and complex interconnectedness over decades under different political constellations since 16 December 1838, including the apartheid-era. The Land Issue is certainly one bone of contention in the microcosmos between uZulu and the Boers that has stayed and trekked with them into wider horizons of the sub-continent. The history of Southern Africa since December 16, 1838 would hardly have resulted in the diversified constellation of reconciling interest-groups and communities of our day, were it not for the heavy legacy iMpi yaseNcome imposed on its protagonists and their descendants. That legacy rests on our shoulders to this day and is the driving motive for a get-together like ours today. 6 Conclusion – from Ncome over „Bloedrivier“ to Ncome and beyond! realising and accepting that every date and every venue in a community with as divers a heritage as the South African, can be known, remembered and commemorated in various ways concurrently – Ncome, Bloedrivier, Blood River, eBhodriva, … as designations for one and the same venue by people from the various sectors and ancestral lines of one and the same community on the basis of a democratic constitution upholding human rights and promoting diversity. transforming and developingthe venues of military encounter into venues for learning and advancing, meeting and recreation and living – a classroom for young and old, a picnic-site and an open-air theatre for everyone. IHlambo likazwelonke (a national Cleansing- and Reconciliation-Ceremony) on 16 December 2014 [20 years democracy] could, for example, be the most suitable opportunity for initiating such transformation country-wide. cultivating a culture of remembering and reminding which would ensure that coming generations know of the past and would consequently avoid engaging in confrontative encounters of similar nature and seek to give room to confluence and congruence of interests in sustainable measures. assuming responsibility for the initiation and the maintenance of networks of constructively critical scholarship and responsible citizenry that reach out and cooperate in transnational and global contexts – from Ncome over „Bloedrivier“ to Ncome and beyond! Cynthia Kros, ‘Telling Lies and then Hoping to Forget all about History’, South African Historical Journal, 42, 2000, 69-88. Wolfram Kistner, ‘The 16th of December in the context of Nationalistic thinking in colonial and apartheid South Africa’, in: Theo Sundermeier (ed.) 1975: Church and Nationalism in South Africa. (Johannesburg: Ravan) 73-90. B.J. Liebenberg, Nederland en die Voortrekkers van Natal, Communications of the University of South Africa, C.51, Pretoria: 1964. G. MacKeurtan, The cradle days of Natal (1497-1845), London: 1930. Roelf Meyer and Beyers Naudé, ‘Geloftedag: Christusfees of Baalfees? `n ope Vraag aan Suid-Afrika oor Geloftedag’, in: Die Christelike Instituut van Suider-Afrika, Pro Veritate (Braamfontein: 1971). M. Nathan, The Voortrekkers of South Africa, London: 1937. G.S. Preller (ed.) 1918-1938. Voortrekkermense, 6 volumes, Cape Town, etc. M.C.E. van Schoor, Die nasionale en politieke bewuswording van die Afrikaner in migrasie en sy ontluiking in Transgariep tot 1854, Archives Year Book for S.A. History, 1963, vol. II. C.F.J. Müller, ‘The Period of the Great Trek, 1834-1854’, in: C.F.J. Müller, Five Hundred Years. A History of South Africa. Pretoria | Cape Town: Academica, 1969 [146-182]. Hermann Giliomee, The Afrikaners. Biography of a People, Cape Town: 2003. Hermann Giliomee, ‘Constructing Afrikaner Nationalism’, Journal of Asian and African Studies, 18, 1-2, 1983 [83-98]. André du Toit, ‘Facing up to the future: some personal reflections on the predicament of Afrikaner intellectuals in the legitimation-crisis of Afrikaner nationalism and the Apartheid state’, Social Dynamics, 7, 2, 1981 [1-27]. I am the descendant of Masiphula kaMamba who was the Prime Minister(UNDUNANKULU) of His Majesty the King Mpande. I am told Masiphula allowed German missionaries to establish a mission Station at Dlomodlomo where I and my Dad who is 91 years live. I want you to help me with historical hints concerning the establishment of the Dlomodlomo Mission Station and, if possible, with the reports that are said to have been sent to Germany relating to the problems they encountered when they were trying to establish the mission station. I am also kin to get a photo for uMasiphula kaMamba, if possible. I am of the view that his photo was sent to Germany with the reports that were made during the establishment of the Lutheran Church in Zululand. Mzilikazi, help me with the above, if it is within your possibilities. Siyawuzwa umbuzo oqhamuka nawo. Sizozama ukuwucubungula, singathola isikhathi. Abentumo ngokwenkolo [missionaries] bafika kulelo langakini ngaphambi kokuhlaselwa koMbuso wakwaZulu nokuketulwa kweNkosi uCetshwayo esihlalweni ngabombuso wamaNgisi nezincelebana zabo. Abentumo bafika beqhamuka emazweni ehlukene, amanye awo namuhla asaziwa ngokuthi yiJalimane, yiNoki [Norway], yiSwidi, bekhonza ngamasiko akubo ngokwahlukana kwawo; ababekhonza ngenqubo yokulandela uMartin Luther [abaseLuthela] yibona abagcina bephembé lesi sikhumulo sabo sentumo eDlomodlomo. Ukuthi kwakungabeqhamuka kuphi-ke kulabo, kufanele kuhlolisiswe. Imibiko ababehlala beyithumela emakubo yayiqukethe yonke imininingwane ngesimo nangezenzakalo esikhumulweni abakuso. Le mibiko namuhla itholakala ezinqolobaneni zolwazi [archives], nobani nobani ofisa ukuyifunda uvunyelwe. Kunabafundi nabacubunguli bomlando asebeshicilele izincwadi eziqukethe oluningi lwalolu lwazi uMgazi abuza ngalo. Kuzofanele kesiyobheka khona ukuthi kuthiwani. Ake siyimise lapho okwanamuhla, Menziwa, sikhonze kakhulu! Thank you for the interesting and thought provoking article on “Bloedrivier”, as well as for all the other news items that you have sent over the past months. I appreciate it very much. May I wish you and your family the very best for Christmas and 2016. May we, as descendants of those generations before us, retain the strength to persist in striving for reconciled togetherness – also in the year ahead.